Getting To Know You Giveaway Hop! 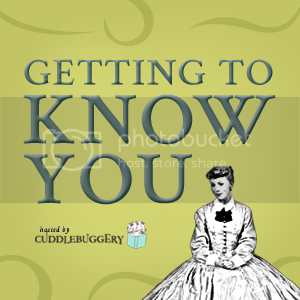 The ladies over at Cuddlebuggery have gotten us together to host a Getting to Know You giveaway hop! You Get To Pick One Of These! Go HERE to find out more about them! Blog Tour: Reliquary by Sarah Fine | Excerpt + Giveaway! Winner of Tempest by Julie Cross! The Winner’s Curse, Looking for Alibrandi, Dreams of Gods and Monsters! There’s so many good books to choose from! Thank you so much for participating in the blog hop! I’d like to read the Jo Jo Moyes book. She has been on my wishlist for simply ages. Haven’t read any of the books yet.. :( Dying to get my hands on The Winner’s Curse! The only one I’ve read is Open Road Summer and it was like a 4.5 star read for me! Soooo good. If I win, I would definitely lean towards The Raven Boys because I’ve been meaning to start this series soon. I’ve read the first two books in the Daughter of Smoke & Bone trilogy, so I can’t wait to read Dreams of Gods and Monsters, that unfortunately hasn’t been released in my country yet =/ But I’m also really curious about The Winner’s Curse and The Raven Boys! Ooooh good books!! I just recently read The Winner’s Curse- easy 5 stars! I also loved Open Road Summer! Kelly bought me Brazen as a reward for recently pushing out a human. LOL I loved Daughter of Smoke & Bone, but have yet to continue the series! I need to read The Raven Boys–I bought it when it first came out, but on my shelf it sits!! I’ve read Sugar Daddy and loved it! I would love to read JoJo Moyes. Cindy @ In This World of Books.. I would prb pick Brazen or Open road summer since i havnt read those but the other are for sure 5 stars!! I featured Brazen on a recent Wishlist Wednesday post, so I would really love to read that! along with The Winner’s Curse. I’ve read DoGaM, it was a four-star read for me. I’ve been meaning to read The Raven Boys though, it sounds fascinating! I’m actually the opposite of you – I’ll read contemporary (and really pretty much anything), but fantasy is definitely my jam. I totally loved The Raven Boys – which came as a complete shock actually. I’d read her fae books a few years ago and was totally turned off by them, but when a billion bloggers were like…do it! Read The Raven Boys you’ll love it! I finally caved in and read it, and holy cow. That writing is magical. I was also really, really surprised by The Daughter of Smoke and Bone trilogy! It didn’t sound like my thing – angels? Not likely! But I actually got it sent to me in a surprise giveaway of stuff. And if I thought Steifvater’s writing was magic? No one, no one has anything on Laini Taylor’s writing. If I could eat it I would. SO FREAKING AMAZING! 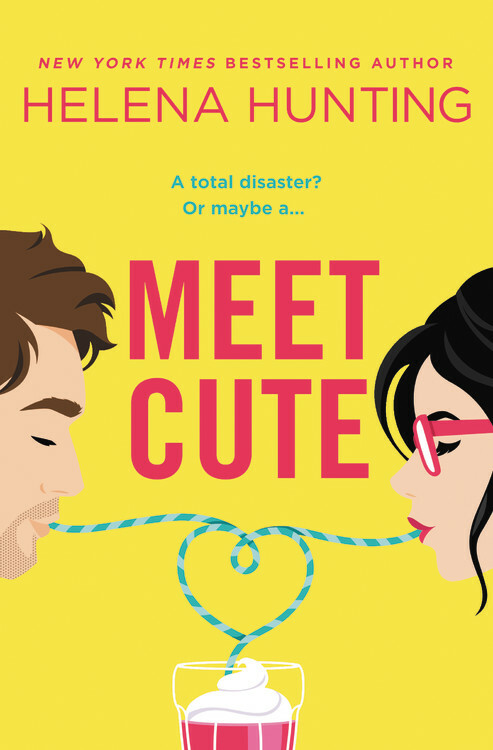 That being said, if I got a pick, I’d be going with Melina Marchetta’s book. After reading her Lumatere Chronicles (which no question are going on my top ten books I read this year) I will read ANYTHING she writes. For all time. I haven’t actually read any of your 5 star reads! I really would like to get into the Daughter of Smoke & Bone series and read the Winner’s Curse though. The Raven Boys and the other two books so far in the cycle were 5 star reads for me!! Winners Curse and Laini Taylor’s books have both been on my tbr for awhile. I recently FINALLY got Winners Curse so yay I can read that soon! I have read so many good things about Open Road Summer. And now you give it 5 stars… I definitely need to check this book out! The other book I want to read badly out of those above, is “The Winner’s Curse”! Kristan Higgins WAITING ON YOU would be my first choice. Added the books to my wish list. i’ve read the raven boys and loved it! Love to read Looking for Alibrandi or Sugar Daddy! The only one I’ve read is The Winner’s Curse and unfortunately I was not a huge fan :( The characters annoyed me a lot haha. Wonderful choices though, I would love to start The Raven Boys soon! I’ve only read “The Raven Boys” of all of those – it was a five-star read for me too. I just loved Blue to bits. I’m really looking forward to reading the sequel. I really loved Dreams of Gods and Monsters, The Winner’s Crime, and The Raven Boys! I just realized I don’t actually own DoGaM because I listened to it (the narrator is amazing), so I would love a copy for my shelves! No, I haven’t but I really want to read Brazen. I love the Tudor Era. I haven’t read any of these books.. I haven’t read any of your 5 star reads yet, but I really want to read The Winner’s Curse. I heard such great things about it! I mostly place 5 stars on YA with striking emotional scenes and ction. Thank you for the giveaway and nice to meet you too! I’ve read Dreams of God and Monsters and The Winner’s Curse! both were my all time fave :D Thanks for the giveaway! I’ve read Dreams of Gods and Monsters, and for me it was more like 4 or 4.5 stars, I really enjoyed all of the books in the series! The only one that I have read (kinda) is Open Road Summer! I started it in the summer, and then got distracted by others and still haven’t finished it :/ I really, really want to read The Winner’s Curse, Brazen and The Raven Boys!! ESPECIALLY The Raven Boys, I feel like that series is getting so much more buzz now that Blue Lily, Lily Blue is out and I was recently oogling the covers in the bookstore :P Thanks for the giveaway!!! I really enjoyed Open Road Summer! I have The Winner’s Curse and The Raven Boys on my shelf but for some very strange reason haven’t gotten around to reading them yet. Must rectify this asap! I am also a contemporary girl (contemporary YA mostly). In fact, my debut contemporary YA, Love and Other Unknown Variables, just came out last month. I’m a HUGE JoJo Moyes fan. She crushed me with Me Before You. CRUSHED ME! I still get upset if I think about it too much! Nice to meet you on this bloghop! Look forward to following your blog! The only one of these I’ve read is Gods and Monsters and yes it was five stars for me too! Thanks! I have read The Winner’s Curse, The Raven Boys, and Dreams of Gods and Monsters. They all deserved a million stars. I haven’t read any, but think I would enjoy Open Road Summer. Thanks for the giveaway! I want to read The Raven Boys the most! I have not read any of these, but there are a couple that I really want to read. i like the blurb and the cover.. The Winner’s Curse! Definitely the best novel I’ve read thus far this year!! I haven’t read any of those yet, but I really want to read The Raven Boys! I’ve read Raven Boys and Dreams of Gods and Monsters, loved both of them but the book I’m really looking forward to reading out of your list is Brazen! I have Gilt and Tarnish and I’m just starting with Gilt and enjoying it so far. Plus the covers are gorgeous. I haven’t read any of those books yet but i really want to read Brazen. Thanks for the giveaway! Waiting For You was a 5 Star read for me too! I absolutely loved it! I haven’t read any of the others but there are several on your list I really want to! I actually haven’t had the chance to read any of these yet. However, I’m just missing the last DOSAB and I’ve been wanting to read The Raven Boys for ages now! i would like to read The raven boys or the winner’s course, i dont thinkk i had read any of these.. I absolutely loved The Raven Boys! Even though, it wasn’t a five star read, I still enjoyed it! Great list! I just read Kristan Higgins, Waiting on you! I liked it, I am not sure it was a 5 but between a 4 and a five for me. She is a good author! I LOVED Dreams of Gods and Monsters! A wonderful ending to one of my favorite series, ever. I haven’t read any of them, but I would love to read Brazen. Thanks for the chance to win! I’ve read the Raven Boys and yes it was a 5star rating for me as well :) Thank you for the chance to win one of those books! I haven’t read any of them, but a few are already on my TBR list. I’m going to check out the others. I’ve read The Raven Boys and Dreams of Gods and Monsters and they were both 5 star reads for me. I would love to read The Winner’s Curse or Open Road Summer next, they’ve been on my TBR list too long. I haven’t read any of your 5 star books yet, I am really looking forward to The Winner’s Curse and starting The Raven Cycle and Daughter of Smoke & Bone series. I loved Open Road Summer, it’s one of my 5 star reads too. Dreams of Gods and Monsters is on my TBR list, I’ve heard fabulous things about it. Thanks for the giveaway. I read the Raven Boys and I have to say, definitely 5 stars! All of the book in the raven cycle are 5 stars for me! Thanks for the giveaway! I haven’t read any of these but I did listen to some of The Raven Boys on audiobook (didn’t get to finish) and would love to read it so I can continue the series. The Winner’s Curse! It was so good, and the cover? Beautiful to say the least. Thanks for the giveaway! I read, and loved, The Winner’s Curse, which I also gave a 5-star to! :) And I think I want to read the third book in the Smoke and Bone series. I’ve not read any of your five-star reads, but Open Road Summer is absolutely on my wishlist. I’ve heard so many great things about that book! I’ve read The Winner’s Curse and One Plus One but somehow I was disappointed in both of them. I often find myself disliking the books others love. I’ve read both The Raven Boys and Dreams of Gods & Monsters, and both were amazing books. 4.5 stars from me. I’ve also always wanted to read The Winner’s Curse. I’ve read both The Winner’s Curse and Dreams of Gods and Monsters and I loved them both! The Raven Boys was definitely a five star read for me as well. The writing is incredible, including both the prose and the character development and interactions.